This slip-on is perfect for travel or relaxing on the weekends. 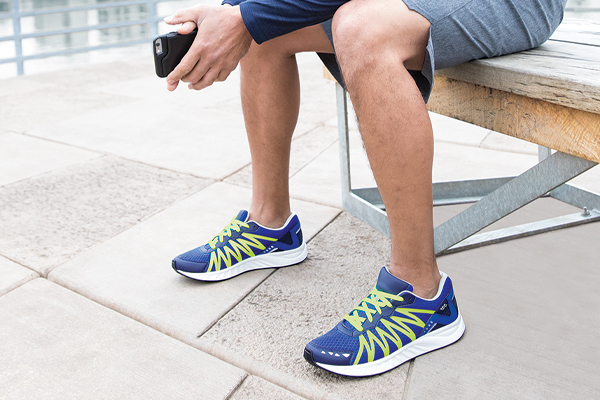 SAS Flex™ technology makes this shoe light, flexible and airport friendly. Elastic side panels make it easy to slip these on and off. TRIPAD® Technology and Everbounce footbed cushion the three main pressure points of your foot while supporting the contours of the foot. Designed to fit and follow the shape of your foot on an exclusive SAS Foot-Shape® last. The SAS Flex® construction and SAS Tripad® Technology provides cushion and support for long-lasting, all-day comfort. Initial fit should be wide enough to stay comfortable across the ball of the foot and roomy enough in front so the toes are not cramped.